Mr. Withers obtained his undergraduate degree in Liberal Arts from the University of Georgia in 1979 and obtained his law degree from the University of Georgia in 1984. Tom Withers was an Assistant U.S. Attorney and Chief of the Criminal Section for the United States District Court for the Southern District of Georgia from 1990 to 1998. As Chief of the Criminal Division Mr. Withers served as lead counsel and was responsible for convictions in the nationally-followed prosecution of the largest privately held home health care provider in the United States, which was charged with defrauding Medicare of millions in reimbursements. Prior to entering the United States Attorney's Office, Mr. Withers was a successful partner with Oliver, Maner and Gray in Savannah for 6 years. 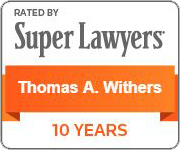 Mr. Withers is well known and respected for his diligent preparation and representation of clients in a wide variety of cases. He approaches each matter as if it were going to trial with a painstaking attention to preparation and detail. He recently was lead counsel in the defense of Columbus attorney Mark Shelnutt, a case that garnered statewide and national attention. Mr. Shelnutt was found not guilty on all 36 counts of the indictment. 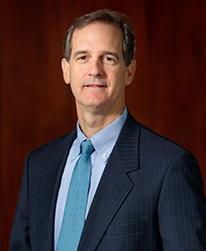 Mr. Withers has also had notable success in civil litigation, including class actions and serious personal injury. He has also helped to develop, and served as class counsel for a groundbreaking, nationwide, class action litigation in the mortgage industry. Mr. Withers is admitted in Georgia Federal and State courts and the Eleventh Circuit Court of Appeals, and has appeared as counsel in jurisdictions around the country. He has lectured on numerous occasions on topics in federal criminal defense and criminal law. Mr. Withers was born in Atlanta, Georgia. He and his wife of 35 years, Lynn, have two grown children.